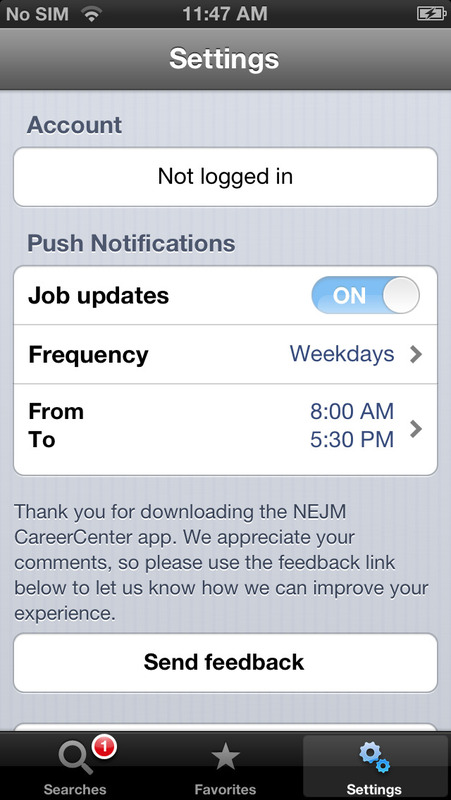 NEJM CareerCenter, the physician jobs companion website of the New England Journal of Medicine is now available for the iPhone. Search the latest permanent and locum tenens jobs by specialty, position type or location. Email jobs of interest to your account to apply later. Access our nationwide database to find a job from a source you can trust.